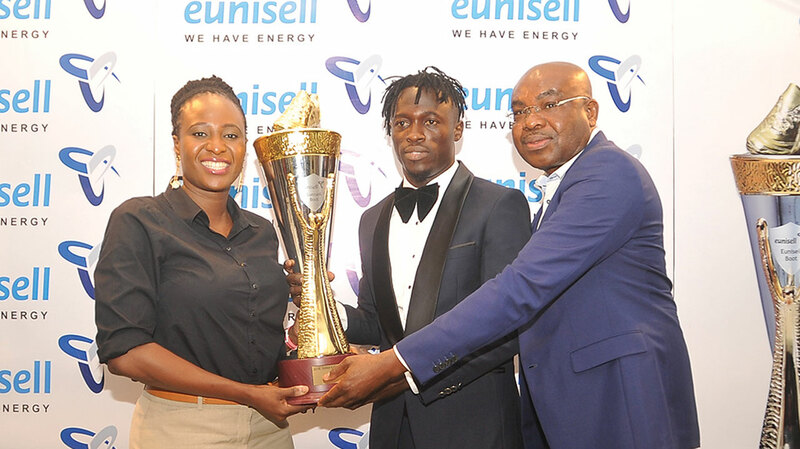 When Junior Lokosa picked up the first ever Eunisell Boot Award at the Nigerian Professional Football League’s (NPFL) 2017/18 season highest goal scorer with 19 goals, even he did not envisage the career-defining boost it would have on him in the last couple of months For his performance in Nigeria’s top football league, the 25-year-old was presented with a glittering trophy and a cheque for N3.8 million from one of the nation’s foremost chemical and specialty fluid management companies. The publicity and media hype he got for achieving this feat reverberated beyond the shores of the ‘Giant of Africa,’ catching the attention of international clubs. First, he went for trials in Asia, with a Chinese club and Europe (Bulgarian and Norway) sides, but failed to secure any concrete contract. Then came a major breakthrough when the current African champions, Esperance Sportive de Tunis decided to give the former Kano Pillars star a chance. The Tunisian club offered him a two-and-a-half-year contract on January 14, 2019. “It was only after the Eunisell Boot was awarded to me, along with all the publicity that my career turned around,” Lokosa stated, while speaking on how Eunisell’s involvement helped to boost his career. 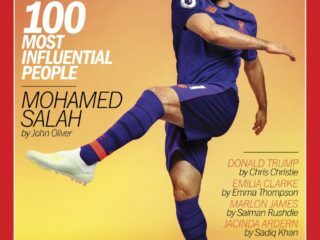 And even though he has just spent barely a month with the prestigious Tunisia giants, his exposure has opened his eyes to the positive impact big business can have on the “beautiful game”. Lokosa now believes that with more sponsors emulating Eunisell, clubs and players will be the major beneficiaries, and the standard of the game will improve across the country. The role and benefits of the private sector cannot be over emphasised in the growth of the world’s most popular sports in Nigeria. However, he is not the only one with this view as stakeholders are also of the opinion that private participation in football is non-negotiable as without it, the game will continue to go round in circles with no real progress. Highlighting some of these benefits, China Acheru, a broadcaster and former spokesman of Dolphins FC (now Rivers United) reiterated these positives. Acheru said the private sector brings a different feel to how football/sports are run, adding that there is more accountability, better financial management and better planning and ultimately a better product for the fans to enjoy. He decried what he described as “the overbearing hands of government on football,” as what presently obtains. This, according to him, must be reduced. “There is a saying that goes, government money is free money, and that is probably why state-owned football units are run without accountability or checks and balances. “As the Nigeria Professional Football League currently is, there are FC Ifeanyi Ubah, Remo Stars, Kada City, MFM and Go Round FC. One side of the coin is sponsoring football clubs and bringing about professionalism in the way these clubs are run and the other is collectively affecting the growth of football. “The private participation brings a sense of organisation/responsibility and attention to details. These hardly exist in the current setting. “Nigerian football actually needs the private sector to grow and they must come in form of financiers and managers of the game. “But for the private sector to come in and effectively help in the development of football, the game must truly be private,” he said. Acheru also added that with the private sector, the structure of these football clubs will be more visible. A well run football club means development from the grassroots to the pro-ranks. On sponsorship, he added: “The NFF is about football development but the norm, especially in Nigeria, is that the Federation sits back, waits for government money, then organise the FA Cup in respective states. “Financial partners are major decision makers as far as the products the sponsor are concerned. The right people putting their money in football can decide how they want the game run. Also speaking specifically on how private partners can come in to ensure this development takes place, Harry Iwuala, Head Special Projects, League Management Company (LMC), the firm that oversees the running of the professional league in the country, pointed out that private participation in football development comes in many variants. “In league football, there’s private participation by way of club ownership/part ownership, there’s also participation by ownership of facilities such as we see with Rojenny, Power Mike Sports Centre and so on; and you also have participation by ownership of broadcast facilities which is provided for production and distribution of match broadcast signals. “In broader terms, private participation is viewed from sponsorship and partnership with rights owners such as title rights/category exclusivity, club shirts, stadium naming rights, broadcast sponsorship and partnership as well as vending rights. “At the end of the day, football development can only come about when there is funding to hire staff (playing, technical and backroom), build facilities (playing fields, training gyms, equipment etc.). The 25-year-old noted that global brands have now turned to football’s top stars like Cristiano Ronaldo and Lionel Messi to boost their marketing strategies, adding that companies in Nigeria can also emulate this act, to advance a sport that brings joy to the heart of many people in the country. A very good example of the impact of sponsorship on football is the popular English Premier League, which has been elevated to a global behemoth in no small measure to the money put into it by Sky Sports. 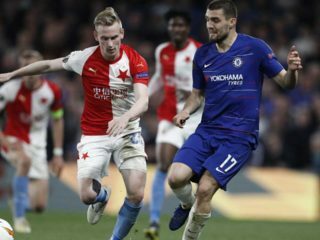 Only last year the satellite broadcast company splashed a staggering £3.58 billion (N1,682,600,000,000) for a three-year deal to broadcast the league around the world. From this amount, the 20 clubs in the elite league shared £2.42 billion (N 1,137,400,000,000) from the TV sponsorship deal. And because of this enormous sponsorship fee, the clubs are able to use the money to attract some of the best players to the Premier League because of the huge salaries they can offer them from their share of the billions. For instance Manchester United was able to land Alexis Sanchez from Arsenal by offering him wages of £350, 000 a week, far above what the Gunners offered him. So while we are not expecting the NPFL to become a trillion naira business over night the earlier the private sector join the bandwagon the sooner they and football fans will enjoy the fallout from the mutually benefitting partnership.